The real-time strategy genre used to be all the rage a few years ago, but eventually left the spotlight as gamers’ tastes changed. One game in particular, Age of Empires II, was all the rage, thanks to its gameplay mechanics and solid campaign. Sure, at the end of the day, the game was all about getting enough resources to create a huge army that could overwhelm the enemy, but there was a certain satisfaction in seeing such an army move on the map and obliterate anything standing in its way. 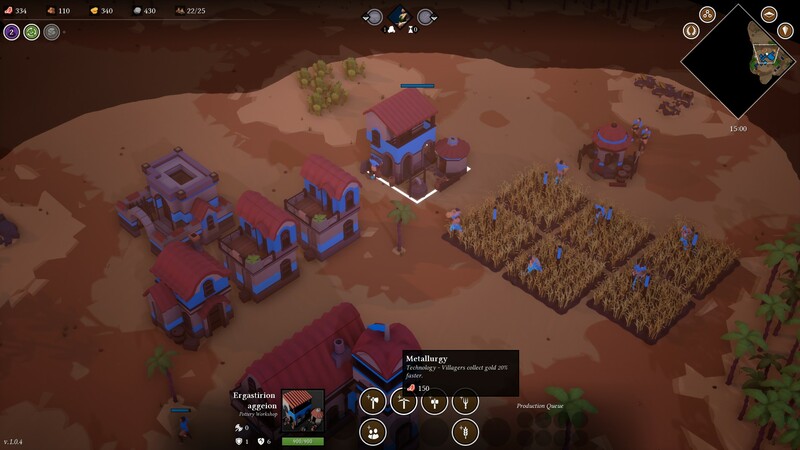 If this type of experience is right up your alley, and if you want to test your strategic abilities against other players, Empires Apart is the game for you. Unlike Age of Empires II and other similar Medieval RTS, Empires Apart doesn’t feature a single player campaign so there’s no explanation for all these diverse armies clashing against one another. The game does feature some single player content, such as Skirmishes, where players can train against the AI and choose map type and size and number of opponents, Survival, where players have to survive against hordes of AI controlled enemies, and Challenges, 6 unique scenarios for each civilization which task players with completing set objectives. Sadly, these single player modes get old very quickly, so the lack of a proper campaign is definitely damaging. Playing against the AI, however, is highly recommended, as Empires Apart’s mechanics are quite interesting and difficult to grasp in an online match. The game sports six different civilizations – Aztecs, Chinese, French, Mongols, Arabs and Byzantines, each one coming with some unique traits. Some of these civilizations have a good economy, like the Chinese and the French, allowing players to create facilities that improve the gathering of resources, while others are more focused on war, like the Aztecs, and units actually improve in combat. Each civilization also has two different heroes with unique abilities that have the power to turn the tide of battle if things are going sour. Upgrade trees can be a bit complex, but thankfully there are in-game menus that let players known from the get-go how each civilization can evolve. For the rest, Empires Apart plays like a typical RTS. 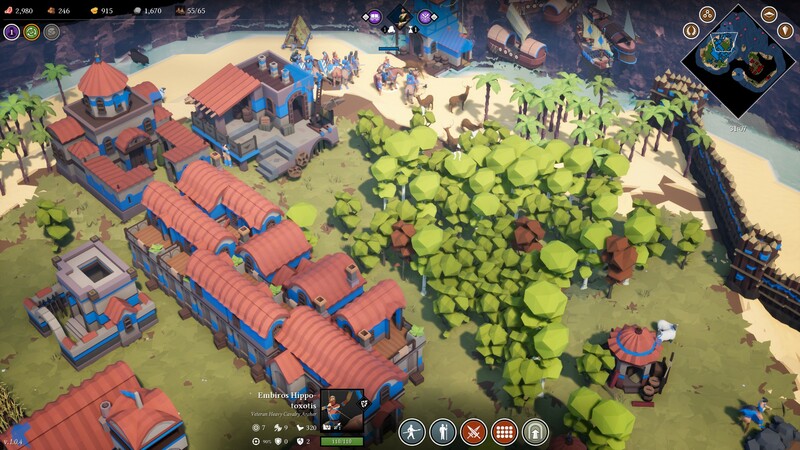 Players start with a town center that can produce villagers, three of these villagers and a single mounted unit. From here it’s up to them to gather food, wood, gold, and stone to build a variety of facilities and produce units like basic infantry and cavalry, archers, siege weapons and so on. Priests are particularly interesting, as they come with the ability to collect Relics granting additional bonuses and perform some special actions depending on the factions, such as recruit wounded enemies for the Arabs, increase the resource gathering speed for villagers, heal wounded friendly units and so on. Defense is also extremely important, and players can build wood and stone walls, fortresses, lookouts and more. Another important element of RTS games are maps, and Empires Apart also delivers in this regard, with a few biomes upon which are based procedurally generated ones. Islands maps also force players to pay attention to their naval development. Everything considered, all the most important features of real-time strategy games are in and work extremely well, with select mechanics being quite solid as well. Like mentioned above, the true meat of the Empires Apart experience lies in the multiplayer component. Players can take part in Ranked Matches and lobbies, and play together with up to 6 other players. The online experience works nicely for the most part, and it also often leads to some interesting gameplay development, as players can also try to use diplomacy to win the match when playing against more than a single opponent. The team is also actively supporting the game with updates, so there’s a good chance that the online modes will be expanded in the future. One area where Empires Apart doesn’t deliver, other than the almost complete lack of single player content, is the presentation. Menus work well for the most part, but maps and units aren’t particularly detailed, making the game feel almost like an early access title. Music isn’t particularly inspired either, with only a couple of tracks for each civilization, which can get grating during the course of a match that can last quite a bit of time. 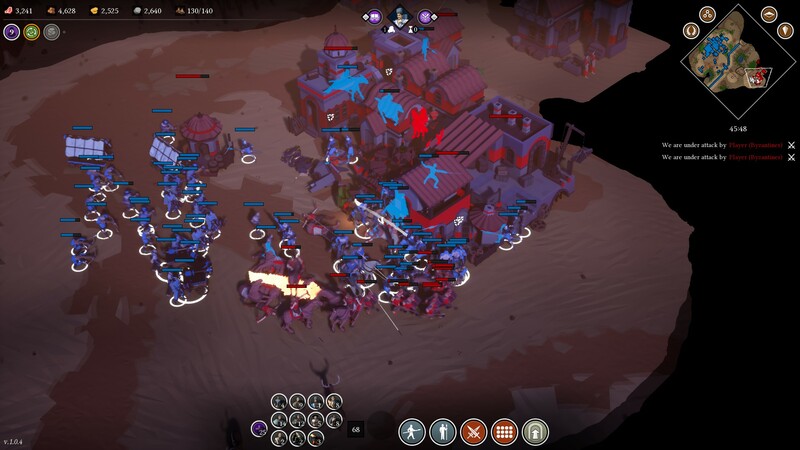 Empires Apart is packed with everything that made old-school real-time strategy games so engaging as well as some interesting new mechanics. Sadly, the multiplayer-focused nature of the game ends hurting the experience considerably, as the single-player content is extremely lacking. If the developers continue supporting the game like they are doing, and the player base manages to grow, Empires Apart may be worth its current price point, but right now only the most die-hard old-school RTS fans will find it right. Review code provided by the publisher. You can purchase the game on Steam. Empires Apart is a more than competent real-time strategy game featuring solid mechanics and unique features. Sadly, the almost complete lack of single player content damages the experience a bit, making the game recommended, at the current price point, only to those who are willing to play online against other human opponents.